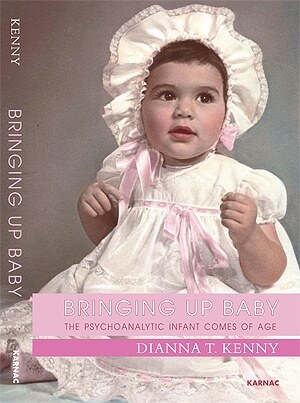 ‘Bringing up Baby: The Psychoanalytic Infant Comes of Age’ by Professor Dianna Kenny. And with such illumination Bringing up Baby: The Psychoanalytic Infant Comes of Age (Karnac Books) is useful for anyone who has infants, studies infants, teaches about infancy, makes policy with respect to infant welfare, or works medically or therapeutically with mothers and their infants. The book begins with Freud’s vision of the Oedipal infant, moving through the post-Freudian conceptualisations of the infant of Anna Freud and Melanie Klein, to the cognitive developmental psychologists, examining the work of Jean Piaget, and then concluding with the modern infant of developmental neuroscience and an examination of the neurobiology of attachment, stress and care giving. The book challenges beliefs about developmental pathways travelled by infants into childhood and beyond and argues that our inner infant is never far from our adult selves. It is useful for anyone who has an interest in finding out what young children think and feel and how they relate to their world. Dianna Kenny is a Professor of Psychology and Professor of Music and Honorary Associate in the Faculty of Education and Social Work at the University of Sydney.